A transactional tax lawyer with regular involvement in tax controversies for over 38 years, Gary M. Harden partners with clients and collaborating professionals on a national platform, designing and implementing value added business - tax strategy. His practice areas include mergers and acquisitions (M&A), syndications, finance and insurance; with niche areas in intellectual property tax, executive benefits, natural resources tax, sports & entertainment tax, exempt organizations, captive insurance, and employee fraud and embezzlement investigations. He serves a broad range of business and nonprofit clients including service firms in the accounting, legal, financial and insurance professions, and as outside tax counsel to a virtual law firm serving the information technology (IT) sector internationally. Bar admissions include Ohio, the US Tax Court and US District Court for the Northern District of Ohio. Mr. Harden is a member of Eastman & Smith. He is a regular speaker and author on topics involving taxation and business law, and taught as an adjunct professor at the University of Toledo Law School. His articles include a wide variety of topics such as FATCA and Ohio's Commercial Activity Tax, with some available by links on this website and to LinkedIn. Mr. Harden earned a master’s degree in tax law (LL.M) from New York University, bachelor of business administration in accounting from the University of Notre Dame, and juris doctor (J.D.) from the University of Toledo College of Law. He is a graduate of Detroit Catholic Central High School. You may also find Mr. Harden instructing a merit badge, cantoring a Mass, backpacking the Rocky Mountains with a crew of young adults at BSA’s Philmont Scout Reservation, camping with his wife, cross country skiing the snowy trails of Northern Michigan or hiking through the woods of Oak Openings Metropark with his German Shepard, Andy. Developing strategies and actively restructuring clients’ organizations, their contracts and their leases, to receive the benefits available under the Tax Cuts and Jobs Act. Trained regional Certified Public Accounting Firms, including CPAs in multiple offices, on compliance and strategy pertaining to the Partnership Audit Tax Regulations. Lead counsel on nine-figure M&A transaction, part equity part tax deferred sale to joint venture of two private equity companies; structured deal and tax aspects, closed mid-April. Restructured the sale of a significant private closely held corporation adding $600 million in value. Restructured as taxable the stalled acquisition of a two domestic corporations by a widely held foreign client intended as tax deferred (inversion), adding value for all parties. Restructured a natural gas pipeline easement grant to be tax free, for cash, without reinvestment of the proceeds as an involuntary conversion or like kind exchange. Six-figure amount. Renegotiated the business transaction for client, increased closing sale price. Restructured the sale of a line of business to a publicly traded company as the sale of a patent portfolio, a nine figure deal, adding value for all parties. Is currently defending a referred client in a Midco tax shelter. Active tax controversy practice. Reduced or abated $3 million of liability in one year, multiple clients. Multiple state tax appeals pending, CAT tax for client in education and sales/use tax for clients in the mining industry. Diligenced and remediated family owned and service firms for acquisition by publicly traded companies. Testified before US Treasury on the scope of IRC section 337(d) regulations on behalf of a nonprofit social club. Trains nonprofit boards of directors/trustees of charitable and governmental organizations, and social clubs on issues including, scope of authority, accounting/tax compliance, fiduciary duties, and best practices. An Eagle Scout, Mr. Harden continues his passion for developing leadership skills and character of the area’s youth as general counsel, risk management chair and former president of Erie Shores Council, BSA. He mentored 14 young men to the Rank of Eagle including each of his three sons, served as a scoutmaster (ten years) and as lay advisor to Tindeuchen Lodge Order of the Arrow. Wood Badge Adult Leadership trained, he also served as assistant course director on the C6-460-15 staff. He is active in the Knights of Columbus (former Grand Knight, and 4th degree), and provides service to a variety of nonprofits including the American Red Cross, Christian Appalachian Project and Catholic Charities. Mr. Harden received the National Certificate of Merit and Extraordinary Personal Action Certificate from the American Red Cross and the BSA Heroism Award for saving a life. Mr. Harden is Best Lawyers in America's® 2016 and 2013 Tax Lawyer of the Year for Toledo. 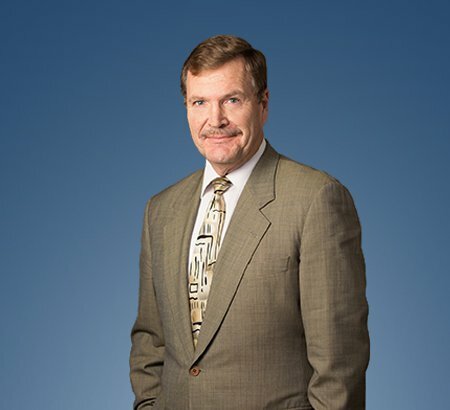 Peer reviewed, he’s been recognized as among the Best Lawyers in America® for 25 years in the fields of Tax Law and Litigation and Controversy -- Tax, as an Ohio Super Lawyer for 13 years, and is Martindale-Hubbell AV. He is an Ohio Bar Fellow and member of the Ohio State Bar Association, having served as chair of the Federal Taxation Committee, Council of Delegates, and Legislative Screening Committee. When chair of its Federal Taxation Committee, he assisted in drafting and lobbying Ohio's limited liability company law and amendments. He nominated and organized, and later served as a member of the Specialization Board under the authority of the Ohio State Supreme Court to certify attorneys as specialists in federal taxation. He has served as an editorial advisor to Westlaw.